This fun-filled 18-day adventure takes you through four African countries, giving you the chance to see the highlights of this amazing region. 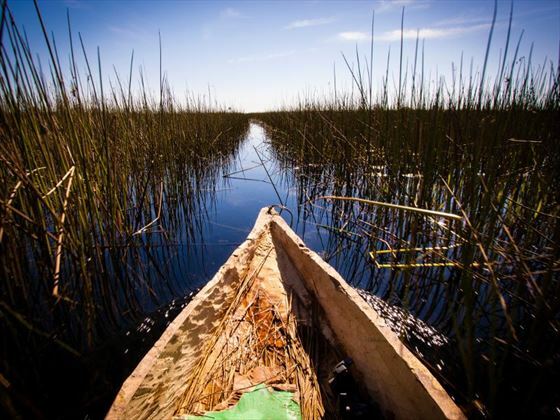 Explore the Okavango Delta in a mokoro canoe, be amazed by the highest sand dunes in the world in the Namib Desert and meet the San Bushmen of the Kalahari. Spend time in hotels, camps, Bushmen huts and on farms for an authentic and once-in-a-lifetime cultural experience that you’ll never forget. Arrive into Cape Town at any time and make your way to your hotel – we recommend booking pre-accommodation to really enjoy the best of this city. 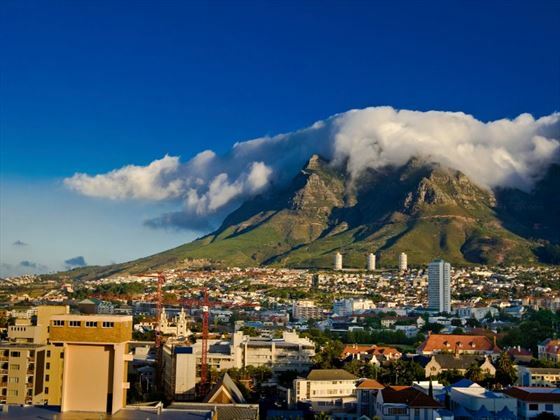 Cape Town is packed with fun activities, from sightseeing at Robben Island and Table Mountain to visiting Cape Point and the botanical gardens. Meet your group and guide at 18:00 for a welcome meeting and to meet the other travellers. On your second day in South Africa, travel from Cape Town to Lambert's Bay, stopping at Bird Island and visiting a wine farm along the way. Today you will venture north and cross into Nambia, settling by Gariep River to swim, relax or canoe. This river is the major river in South Africa and a scenic spot to take in the surrounding vistas. You can also enjoy the natural beauty of the Fish River Canyon – the second largest in the world and a truly amazing sight. 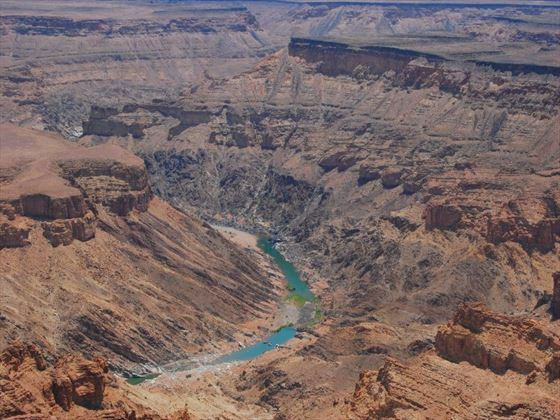 On day four you will journey to Fish River Canton, the largest canyon in Africa. Relax in the hotel pool to soak in the stunning scenery. 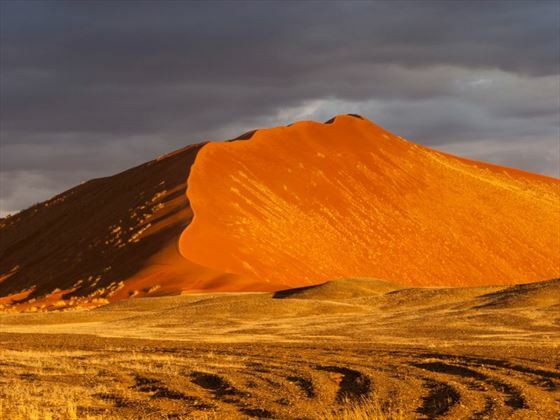 Spend two days in the Namib Desert where you can climb up the breath-taking Dune 45, visit the Sossusvlei Dunes and the Sesriem Canyon. This unique and arid landscape is a sight to behold and you really will feel as though you’re in the middle of nowhere here – the views are phenomenal. 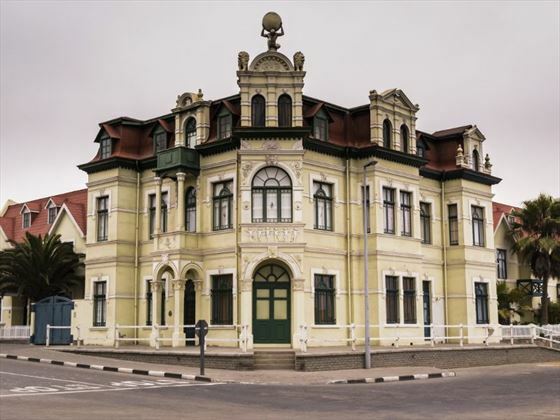 Spend time taking in the views of the Namib Desert as you cross through the dry mountain passes to Swakopmund. This historical town will be your base for the next two days, so take part in some fun activities such as sand boarding, sky diving, a dolphin cruise, quad biking and a Living Desert tour. 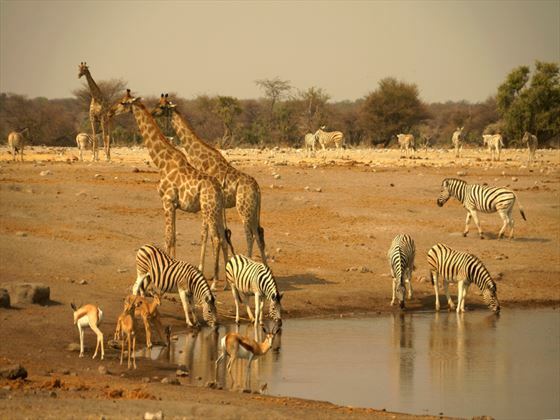 Take a game drive in the Etosha National Park, which plays host to a vast array of animals including springbok, zebra, black rhinos, giraffes and wildebeest. You also have the option to go on an open-safari vehicle game drive for some really amazing sightings. On day 11, explore Windhoek and visit the Kalahari Desert where you can learn the fascinating survival skills of the San Bushmen on an optional walk. In the evening, enjoy traditional Bushmen dancing in the evening. 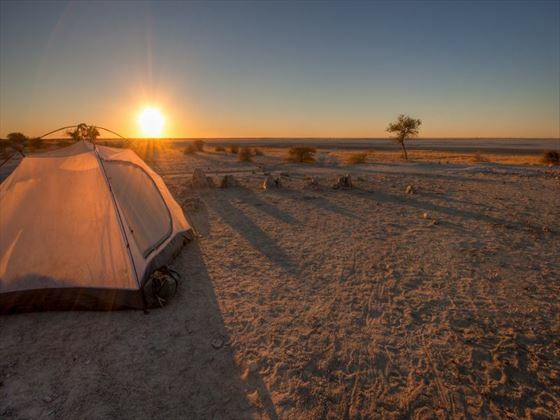 Day 12 will be spent continuing your exploration of the Kalahari Desert. 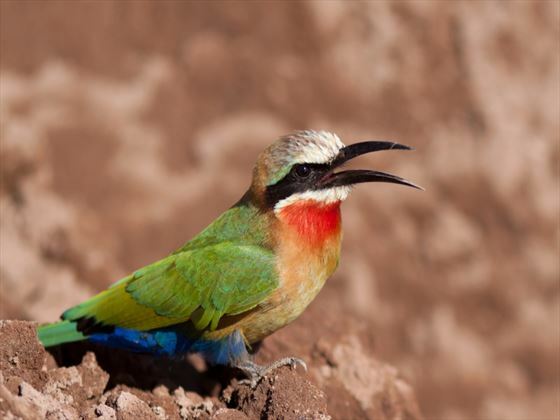 Prepare for a one-night/two-day journey into the delta – while you’re here, you can enjoy game walks, traditional mokoro excursions, birding and a beautiful sunset cruise in Maun. This amazing experience also includes learning the ways of the bush from the local polers, and an optional flight over the delta which boasts spectacular views. 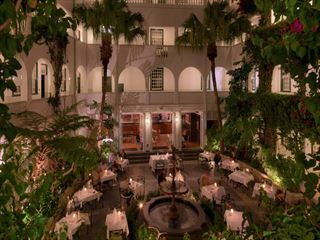 In the evening, watch a dance group’s traditional performance on the poolside terrace. Today sees you take a sunset game drive or bush walk in Nata, and watch the elephants drink from the watering hole at your camp at night. Today will be spent in the Chobe National Park area, where you can opt to embark on a sunset boat cruise on the Chobe River or take an open-safari vehicle game drive through the park in search of the amazing wildlife. 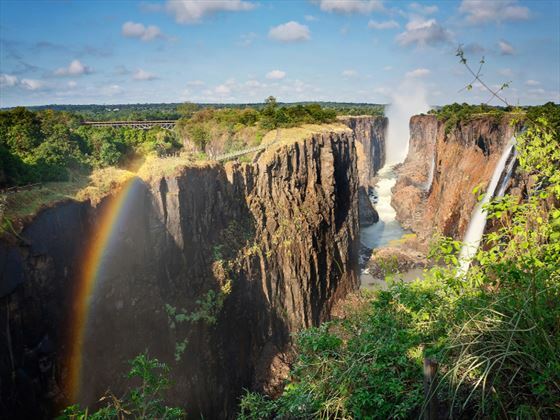 Take the ferry crossing into Zambia for an optional visit to Victoria Falls (must see astounding beauty) – you can either walk around them or take a helicopter ride for a Birdseye view from above! 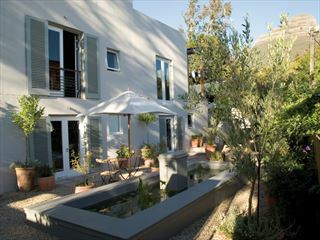 While you’re here, you can enjoy white water rafting, canoeing and elephant-back safaris.